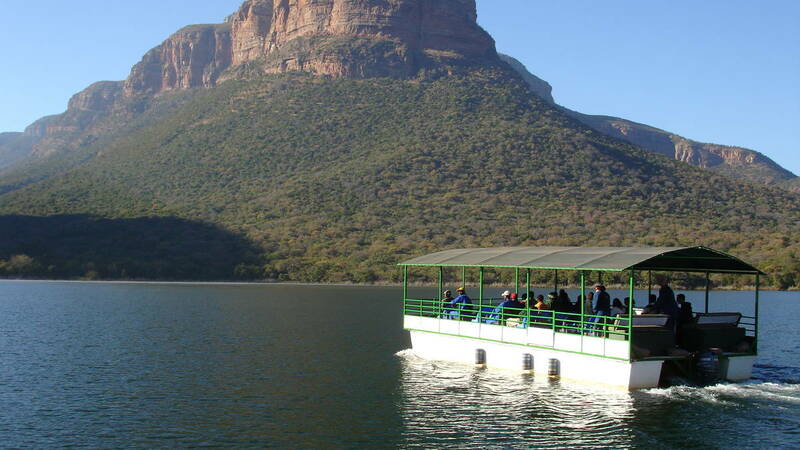 The Blyde River Canyon can also be enjoyed by boat on the Blyde Dam. There are 3 scheduled departures a day (9 am, 11 am and 3 pm) and the ride lasts for 1½ hours. View the Kadishi Tufa Waterfall and the Three Rondavels. Also spot hippo , crocodiles and a variety of birds as you cruise along.